A dream seemed to come true when George McKee’s first patient with an artificial hip joint took his first steps, was able to move, sit and walk painlessly and unobtrusively. Payr, one of the fathers of joint surgery had hoped to realize this dream conceived 150 years ago: Restoration of the ruin of a joint with its pain, contracture or instability. The optismism of this great surgeon, expressed in 1934 was based on the results of conventional interposition arthroplasties improved by Lexer himself and are followed up and reported sporadically (4). 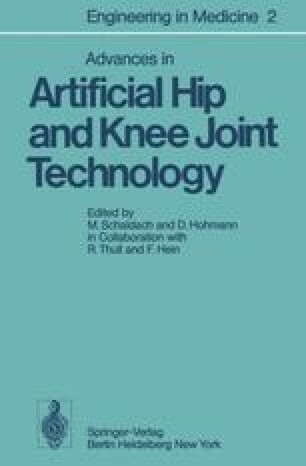 It was not until 30 years later that the resolution of some of the problems by positive fixation of artificial joint components by Charnley (5) opened up a new epoch of joint surgery.